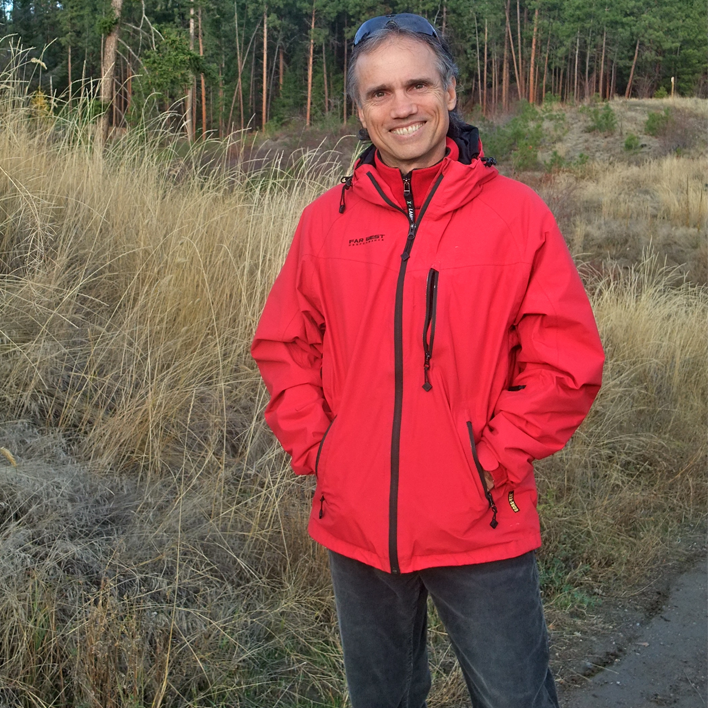 Dr Mark Holder is an Associate Professor at the University of British Columbia Okanagan. He earned his Ph.D. at the University of California at Berkeley. He then completed his postdoctoral training at the Brain Research Institute at UCLA where he conducted brain transplants to reverse impairments caused by brain injuries. As a professor at Memorial University of Newfoundland, he studied how natural chemicals, 200 times the strength of heroin, were released when people ate chocolate chip cookies. During this time he worked as a Biological Consultant with the NutraSweet Company to determine whether aspartame is safe for pregnant mothers and their offspring. He also spent a research sabbatical at the University of Hawaii swimming with dolphins in studies of their language and creativity. Dr. Holder is now an Associate Professor at the University of British Columbia Okanagan, where he studies the science of happiness. He leads a research team that is identifying factors (e.g. spirituality and personality) that contribute to happiness in vulnerable populations including children, people living in challenging regions of the world (e.g. Zambia and Northern India), and people with personality disorders (e.g. psychopathy), emotional processing disorders (e.g. alexithymia) and acquired brain injury. His team is also investigating strategies to enhance happiness in adults through experiences with nature and changing their lay theories of well-being.